The standard 3D miniLDV System consists of three miniLDV probes in a custom-designed alignment bracket, three Processing Engine hardware processors with USB interface, and the 3D Burst Processor Acquisition Manager software, which synchronizes the three systems and calculates 3D measurement statistics. 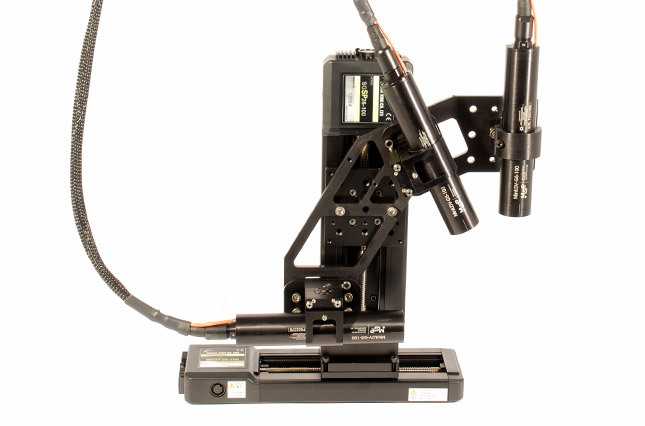 With the continuing tradition of ease of use and short time from setup to results, the 3D miniLDV System becomes an attractive alternative to 3D PIV techniques such as Stereo PIV. Computer requirements Fast processing, high-speed busses for acquisition, large hard disk arrays for storage Modern processing, USB bus... hours of data storage in a typical notebook drive.